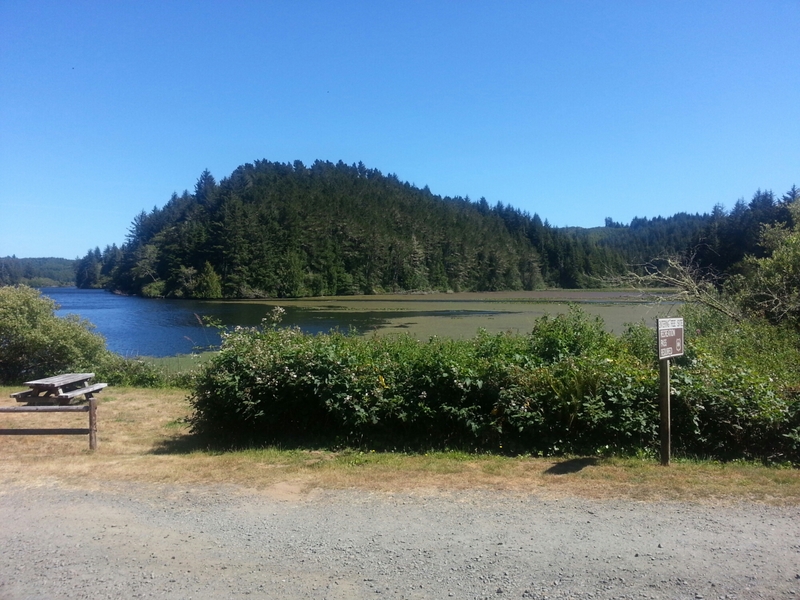 We’re approaching half-way across Oregon, in Heceta Junction at Harbor Vista State Park. 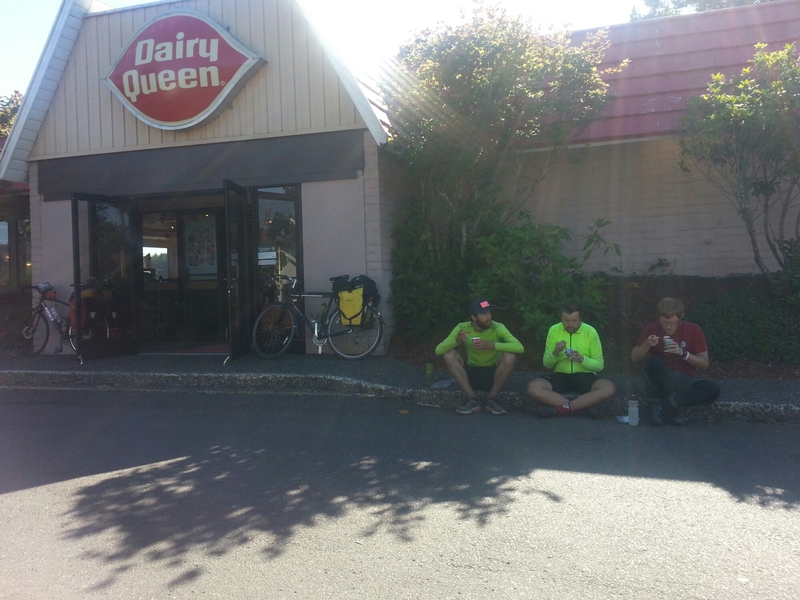 Our first stop was 12 miles in for brunch at Taco Hell. By the time we got moving again, it was after 11:00 , and the winds were starting to pick up, directly on our face. Most of the day was along the Oregon Dunes National Recreation Area. The shoreline reminded me of the eastern shore of Lake Michigan from my motorcycle trip last year. There were tall dunes with minimal vegetation clinging to them. The area attracts dune buggies and ATV riders. The shops along the road sold sand boards, which looked like snowboards made out of wood. Surfing the sand dunes? On the east side of the 101 were lakes. They reminded me of northern Minnesota and the BWCA. This is Tahkenitch, which we were told is Native American for “Many Fingers”. The National Forest campground host said it is the second largest lake in Oregon. When we got to Florence, the winds were probably 25 mph against us and we decided, over DQ Bizzards, that this was far enough. The campground doesn’t have hike/bike sites, so we’re in an RV slot. The good news: electrical box and free showers. All recharged. We cooked the usual “dog” meal, spiced up with chili and shredded cheese plus a couple Rainer beers. 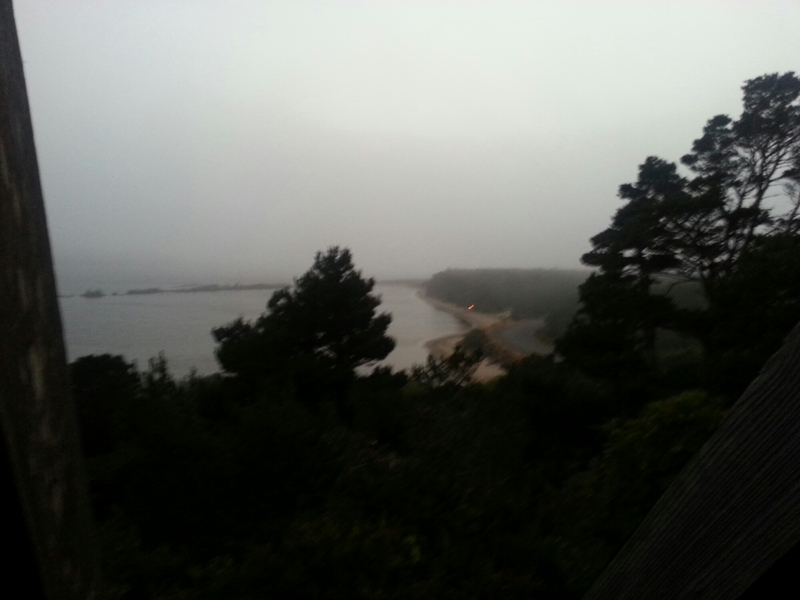 The harbor Vista was a little foggy. OotD: While Oregon scenery and campgrounds seem nicer, I can’t say the same for the drivers. Two honkers and one screamer, with several that refused to give room for the bikes. nothing close, but closer than anything we saw in California.